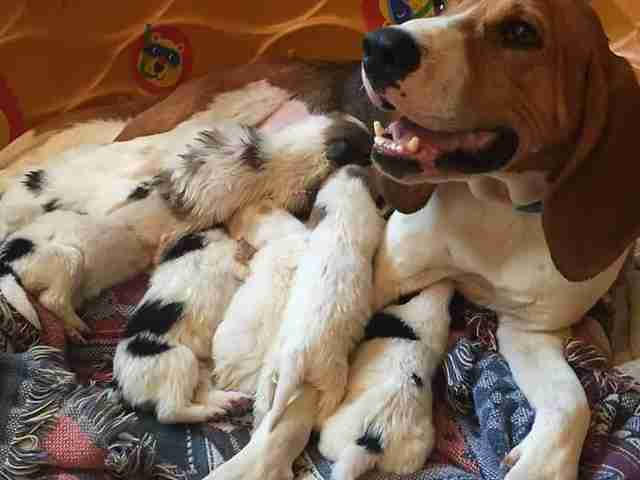 A sweet coonhound named Honey was so desperate to nurture puppies that even after she lost her own litter, she adopted nine little orphaned pups. Four-year-old Honey was pregnant and starving when she collapsed on a stranger's porch earlier this month. Her rescuers took her to the vet for an emergency C-section, but none of her puppies survived, leaving her heartbroken. As fate would have it, right around the same time Honey lost her babies, a litter of nine puppies lost their mom when she was hit by a car. 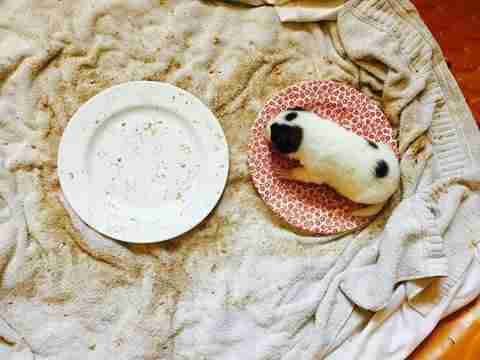 Honey's caretakers at Bluegrass Senior Dog Rescue in Kentucky decided to match the puppyless mom to the motherless babies and hope for the best. "Unbelievable!! As I was getting ready to head out to pick up Honey, I received a message about a litter of NINE 2 week old pups who's [sic] mama was killed yesterday," the rescue posted on Facebook this week. "Honey is en route now to assess them." Later that same day the rescue uploaded photos of Honey happily nursing her new brood. In the days since her new family was formed Honey has been looking after her pups like a pro, even keeping an eye on the puppies when they got their first baths. 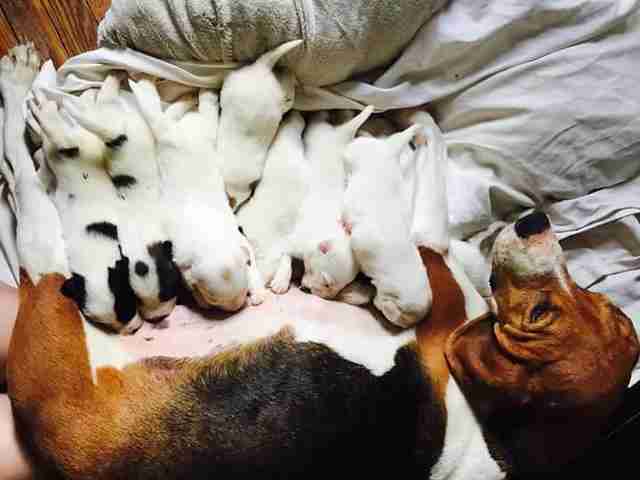 Honey and her pups are all in a foster home together, but soon they'll be up for adoption. Bluegrass Senior Dog Rescue has set up a fundraising page to cover the costs of the dogs' care. 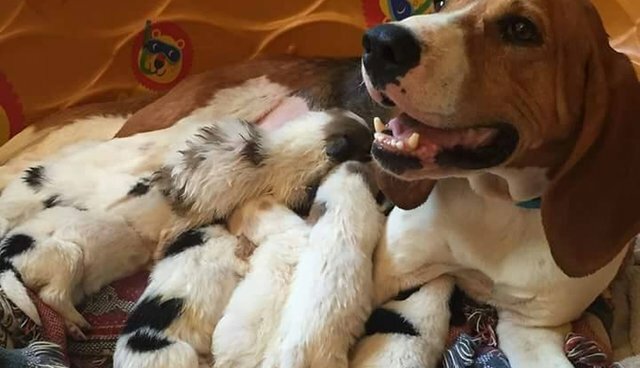 Honey's rescuers have proudly named her "mother of the year, perhaps even the decade." Honey can rest easy now knowing that she and her puppies will never have to worry about being on their own again.